Following computers, robots are now playing a pivotal role in revolutionizing the 21st Century; ranging from car manufacturing to the health sector. Pakistan however has not been internationally competent in this turf. 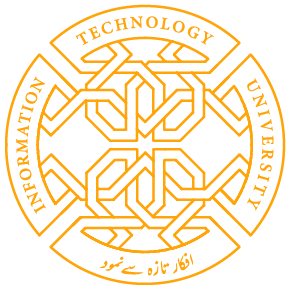 The undergraduate students of ITU are changing this unfortunate state of affairs by putting in their utmost effort. ITU proudly announces its second robotic expo, Machines of the Future: Robots, to be held on Wednesday, July 29, 2015. This exhibition will display 15 Robots. The robots have been entirely designed and constructed by ITU students after taking their first electronic course. Prof. Dr. B.S. Chowdhry, Dean, Faculty of Electrical Electronics and Computer Engineering, (MUET) Jamshoro, will be speaking at the event as chief guest. Being a renowned scientist and ICT expert he would enlighten us with his knowledgeable insight. The passionate students of ITU look forward to the national spread of and advancements in the field of robotics with passing time! Share the post "Machines of the Future: Robots"